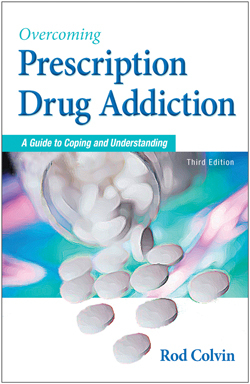 Struggling with Addiction to Prescription Drugs? If you or someone you love has fallen into the addiction trap, you know the pain and anguish it causes. Like most others, you also may feel too ashamed and embarrassed to talk about it. Author Rod Colvin understands your anguish. He watched his thirty-five-year-old brother, Randy, struggle and eventually die from his long-term addiction to prescription drugs. Drawing from his personal experience and his background as a counselor, Colvin now offers help and hope to those who struggle with this devastating disease. By arming readers with knowledge, he helps them along in their journey toward recovery. Colvin also examines how powerful narcotics are fraudulently acquired relatively easily through “doctor shopping,” “pharmacy shopping,” and buying drugs from rogue Internet pharmacies. He also describes steps taken by law enforcement agencies and state governments to curb the diversion of prescription drugs. How does addiction “rewire” the brain? What happens if the drugs are stopped abruptly? When does proper medical use become addiction? How do most people become addicted? What is the difference between addiction and physical dependence? What are the top 20 most-abused prescription drugs? What is the proper use of benzodiazepines (Xanax, Valium, Klonopin, Ativan)? How Can You Leave Prescription Drugs Behind? Read stories of recovery from eleven individuals, including a homemaker, an attorney, a physician, a business woman, and a salesman. Learn how they become addicted. Find out how they made it into recovery. What were the turning points in their lives that made them seek recovery? What is their advice to others who are struggling? How does the newer drug, Suboxone, help with opioid addiction? What is involved in treatment with methadone? What is a partial-day treatment plan? What is rapid detox for opiate addiction? Does insurance pay for treatment? What is relapse prevention education? How Can Family Members Ease Their Pain? Addiction affects everyone in the family. No one escapes the pain and the chaos. What can family members do to help the addict and themselves? What does it mean to enable an addict? Find out if you’re enabling the addict. What are the levels of enabling? How can you set up an intervention to get your loved one into treatment? Understand that addiction is a progressive disease. How to build on hope. Addiction to pills means greater denial. Addicts are not having fun. How to avoid isolating, a trigger for relapse. Why is most pain undertreated? Does all pain treatment lead to addiction? What percentage of people become addicted? Why don’t doctors understand pain management? What are the barriers to effective pain management? How do you recognize addiction in seniors? What should you do if a senior loved one is addicted? What are the 23 drugs you should avoid if you’re over 65? Which pills are most dangerous to seniors? How can your pharmacist help you with a medicine review?